They said "pet friendly"- so we took them at their word. Right, Ace? 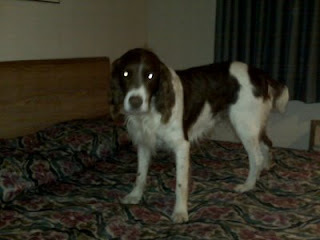 You've got to love places like this Econolodge near Osseo, WI that welcome your dog(s). Rain and 66 deg with lows to 37 tomorrow!